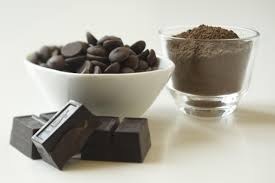 A 50g bar of plain chocolate contains 1.2mg of iron, and 45mg of magnesium. Milk chocolates are a reasonable source of calcium. To its countless worshipers, chocolate is not just a delicious treat; it's a lifestyle. Here are some facts that you don't know about chocolates that makes them a healthy choice. Researchers from Harvard University studied 8,000 men for 65 years and found that those who ate a modest amount of chocolate up to three times a month, lived almost a year longer than those who didn't eat any. They concluded that it is likely to be due to the fact that cocoa contains antioxidants called polyphenols, also found in red wine, which prevent the oxidation of harmful cholesterol. Antioxidants are also known to protect against cancer. This is thought to be because chocolates contain valeric acid, which serves as a relaxant and tranquilizer. Also, the sugar in chocolate may reduce stress-sugar has been shown to have a calming and pain-relieving effect on babies and animals because sweet taste actic=vate the opiate-like substance in the brain. Chocolate contains cannabinoid-like substances that are known to affect the hypothalamus, the part of the brain that controls hunger. This isn't ideal if you're on diet but, for those who need to put on weight or who are convalescing, chocolate could be just what you need to help get your appetite back. Research shows that those who ingested small amounts of chocolates had a significant increase in good cholesterol, and improved biomarker that was not seen in higher doses. Those with a higher intake instead experienced benefits to their insulin resistance and a drop in triglycerides, which are involved in storing body fat.